Allows you to produce clean movies for your game videos. 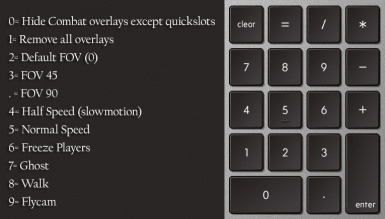 Has keybindings for Flycam, slomotion, FOV, freeze players, remove HUD and more. Combined with No Selection Box. This is a texture mod which makes your target reticle transparant.